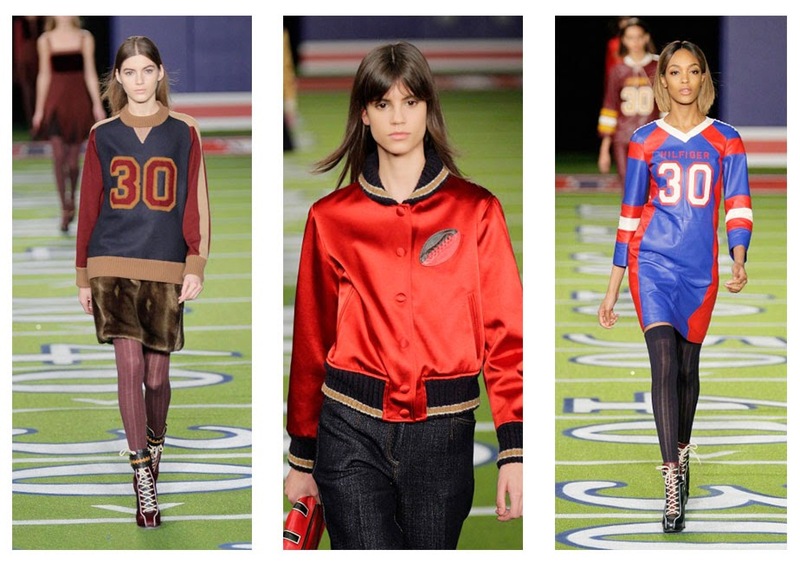 At New York Fashion Week, Tommy Hilfiger, in my opinion, was the highlight! His show was inspired by America's favorite game to celebrate the 30th anniversary of his clothing empire. The floor was covered in astro turf to mimic a football field. 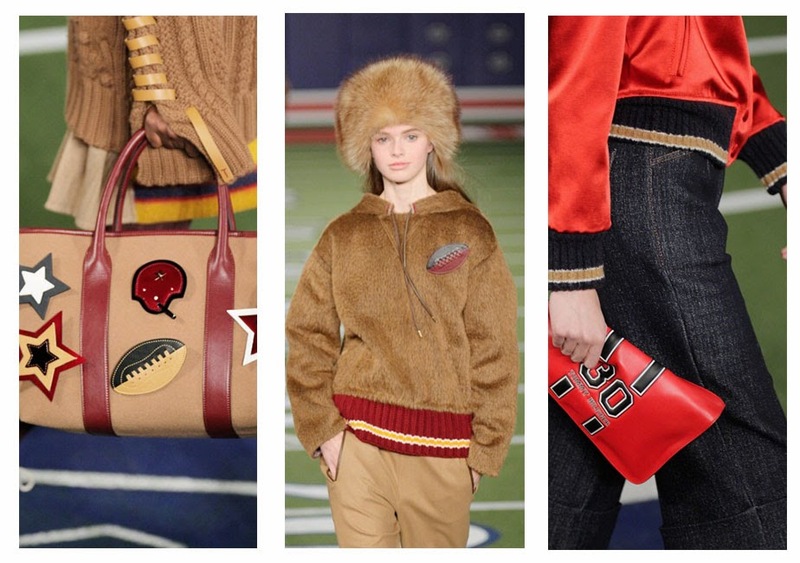 The name Hilfiger was picked out in huge letters and a fantasy scoreboard read: "Home 20, Guests 15" while an entire wall was covered in football helmets. I love, love the clutch. It's available now. And how great are those wedge heel football boots?! For more images of the show. Love how different this take on fashion week was!